Aiming pro-immunisation campaigns at fathers-to-be could be a promising new approach to get more New Zealand children immunised on time, according to new research by the Growing Up in New Zealand study. The paper published in the journal, Vaccine showed that a child whose father made the decision during pregnancy – that his child would be fully immunised – was three times more likely to be immunised on time than the child of a future dad who had decided on partial or no immunisation, independent of the mother’s intentions. If both parents agreed on full immunisations their infant was between two and three times more likely to be immunised on time compared to the child of parents who disagreed. Yet only 77 percent of mothers and partners in the study agreed on their intentions for vaccinating their child, with only 65 percent deciding to fully immunise their child. To find out about parents’ intentions regarding vaccination, the Growing Up in New Zealand study interviewed 6822 women and 4404 of their partners during the last trimester of pregnancy, and asked questions about parents’ plans to immunise their child. Infants were considered to have been immunised on time if each of the recommended six-week, three-month and five-month vaccines were given within 30 days of their due date. “Our research showed that both parents are involved in the decision-making process, and that fathers play an important role in ensuring that children get their childhood immunisations on time,” says Growing Up in New Zealand Associate Director and Associate Professor of Paediatrics, Dr Cameron Grant from the University of Auckland. “As another whooping cough epidemic is expected in New Zealand later this year or in 2017, it is particularly important that we look for ways to improve immunise timeliness right now,” he says. The study found that more than one in five future fathers remain undecided during pregnancy whether to immunise their child or not, compared to one in eight future mothers. But Dr Grant identifies this existing gap as an opportunity for policy makers. Interactive decision-making software and apps that remind new parents of upcoming immunisations for their child are also an option to consider,” he says. Of pregnant women, 81 percent intended to fully immunise their child, 4 percent intended partial immunisation, 2 percent no immunisation, and 13 percent were undecided. Of partners of pregnant women (most commonly the father of the child), 71 percent intended to fully immunise their child, 5 percent intended partial immunisation, 2 percent no immunisation and 22 percent were undecided. Of the couples who provided information, 77 percent of mothers and partners agreed on their intentions for vaccinating their child, with 65 percent agreeing on full immunisations. Seventy percent of infants were vaccinated on time. A child whose father had decided during pregnancy to fully immunise the child was three times more likely to be immunised on time than the child of a future dad who had decided on partial or no immunisation, independent of the mother’s intentions. 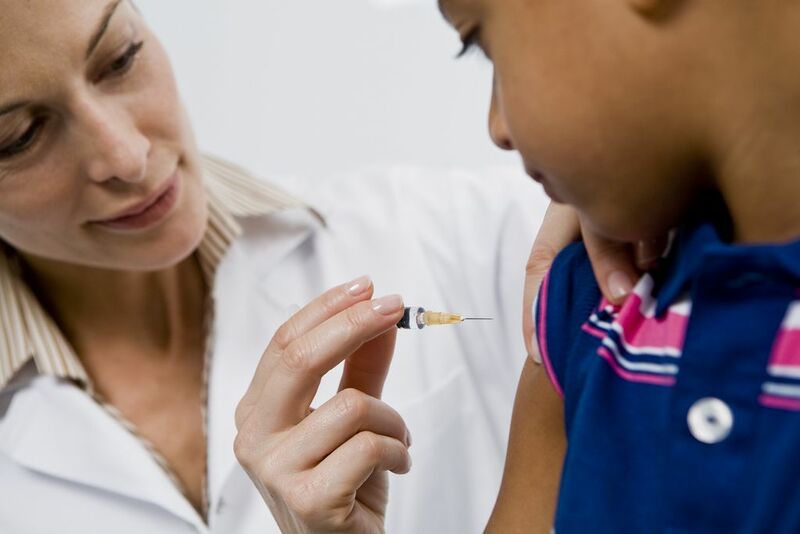 In comparison with all other parents the infants of parent who agreed on full immunisation were between two and three times more likely to be immunised on time. Growing Up in New Zealand is a longitudinal study tracking the development of approximately 7,000 New Zealand children from before birth until they are young adults. The study has collected detailed multidisciplinary information about children’s early development and reflects the ethnical diversity of today’s pre-school children. Growing Up in New Zealand is designed to provide unique information about what shapes children’s early development in contemporary New Zealand and how interventions might be targeted at the earliest opportunity to give every child the best start in life. Early information from the study provides insight into areas like vulnerable children, housing, breastfeeding/early solids, immunisation, languages, early childhood education, interaction with health and other key services, paid parental leave and maternal return to the workforce. Growing Up in New Zealand is University of Auckland-led research and funded by the Crown.